The Jeju horse is an indigenous horse breed in Korea. However, there is a severe lack of genomic studies on Korean horse breeds. The objective of this study was to report genomic characteristics of domestic horse populations that inhabit South Korea (Jeju, Jeju crossbred, and Thoroughbred) and a wild horse breed (Przewalski’s horse). Using the equine reference genome assembly (EquCab 2.0), more than ~ 6.5 billion sequence reads were successfully mapped, which generated an average of 40.87-fold coverage throughout the genome. Using these data, we detected a total of 12.88 million SNPs, of which 73.7% were found to be novel. All the detected SNPs were deeply annotated to retrieve SNPs in gene regions using the RefSeq and Ensemble gene sets. 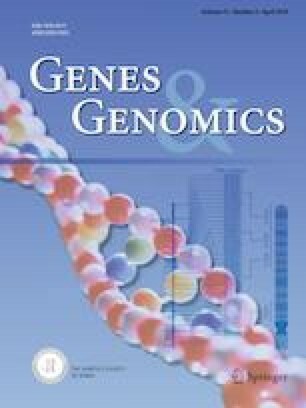 Approximately 27% of the total SNPs were located within genes, whereas the remaining 73% were found in intergenic regions. Using 129,776 coding SNPs, we retrieved a total of 49,171 nonsynonymous SNPs in 12,351 genes. Furthermore, we identified a total of 10,770 deleterious nonsynonymous SNPs which are predicted to affect protein structure or function. We showed numerous genomic variants from domestic and wild horse breeds. These results provide a valuable resource for further studies on functions of SNP-containing genes, and can aid in determining the molecular basis underlying variation in economically important traits of horses. Ha-Seung Seong and Nam-Young Kim contributed equally to this work. The online version of this article ( https://doi.org/10.1007/s13258-019-00795-w) contains supplementary material, which is available to authorized users. This study was supported by National Research Foundation of Korea (Project no. NRF-2016R1D1A3B03934278). J-WC, W-HC, and N-YK designed the whole project. DCK collected the blood samples from Jeju, Jeju crossbred, and Thoroughbred populations. H-SS and W-HC analyzed the data. J-WC, W-HC, H-SS, and N-YK analyzed the data and interpreted the results. N-HH and D-HS carried out statistical analysis for this manuscript. H-SS and N-YK, W-HC, and J-WC wrote the draft of the manuscript. JSS and J-HL revised a part of the paper. All authors contributed to the paper and approved the final manuscript. All experiments and all its procedures were carried out in accordance with the regulation approved by National Institute of Animal Science (NIAS, National Institute of Animal Science’s Institutional Animal Care and Use Committee).